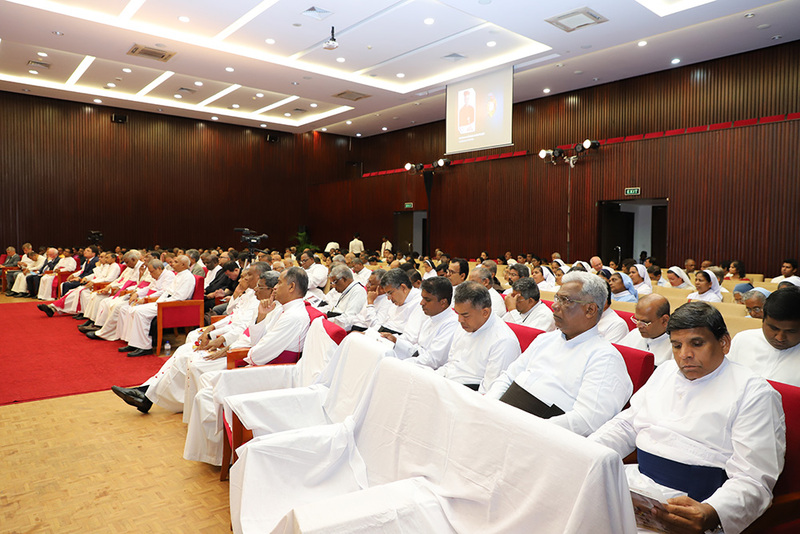 Caritas Sri Lanka celebrated its 50th Golden Jubilee at the BMICH today, 29th of November 2018. 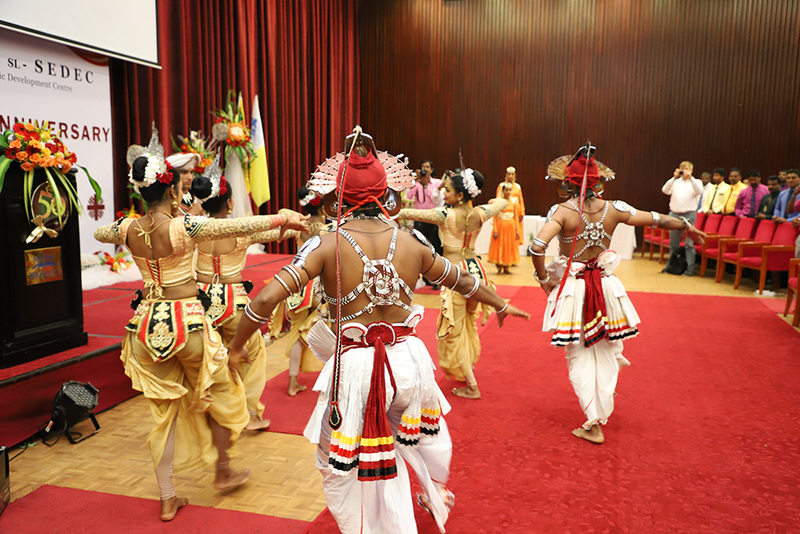 The members of the Catholic Bishops’ Conference, the Apostolic Nunciature of the Holy See to Sri Lanka, Switzerland, German and Norway ambassadors to Sri Lanka and a large number of invitees including the past and present Caritas Staff participated in the Thanksgiving Mass and then the main event which was comprised of speeches, beneficiary success stories and colourful dances. 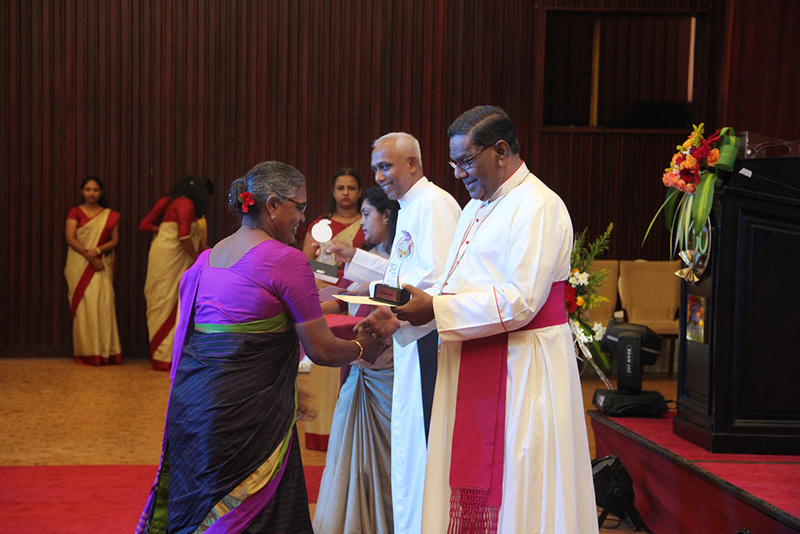 Caritas also appreciated the staff members who have completed 15 years of service during the today’s event. 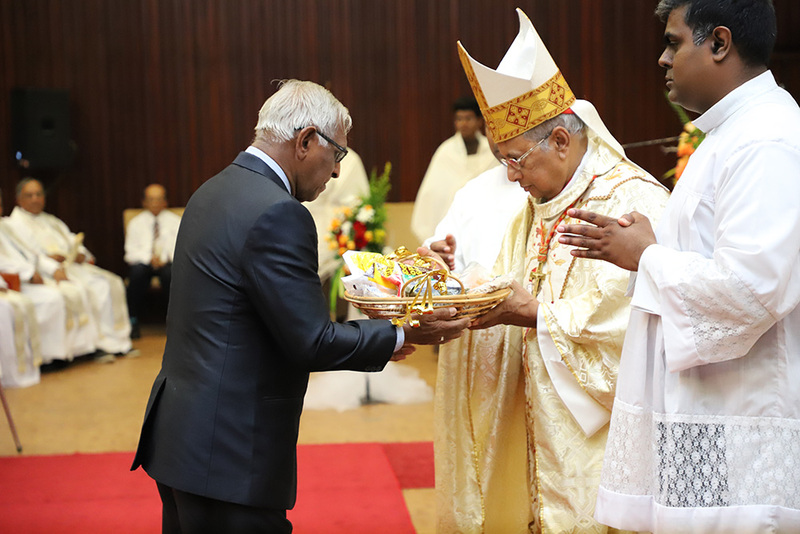 The mandate to set up a Social and Economic Centre which would free the marginalized and enable them to obtain their inherent rights was the brainchild of the late His Eminence Thomas Cardinal Cooray, who gave the task to Fr. Joe Fernando in 1956. 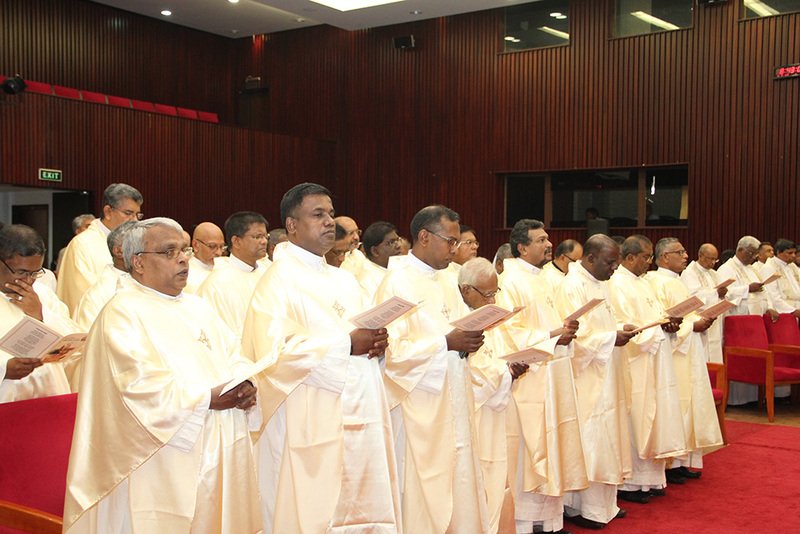 The choice of Fr. 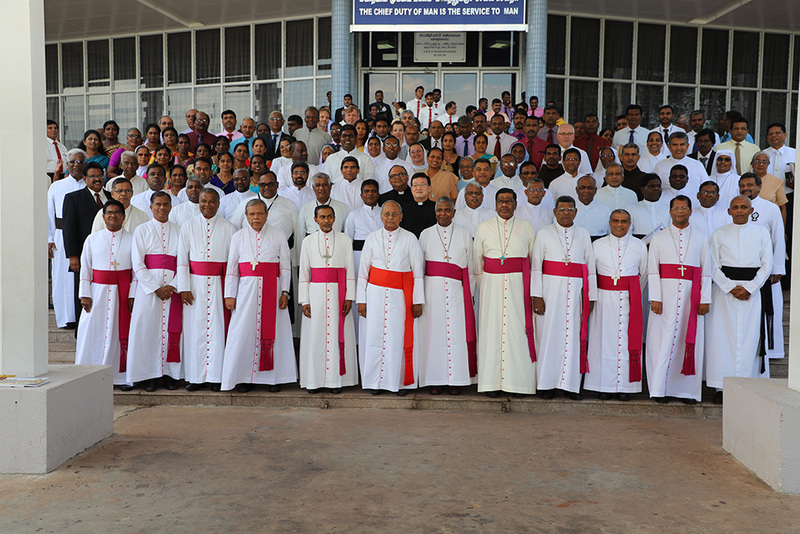 Joe to set up into operation the mandate of the Bishops was in no small measure due to the experience and dynamism shown by Fr. Joe as early as the late 1940’s when he ventured out as a young parish priest to influence the fishermen to seek integral development. In a very simple manner Fr. Joe started a Co-operative Fishermen’s Association at Sea Street. 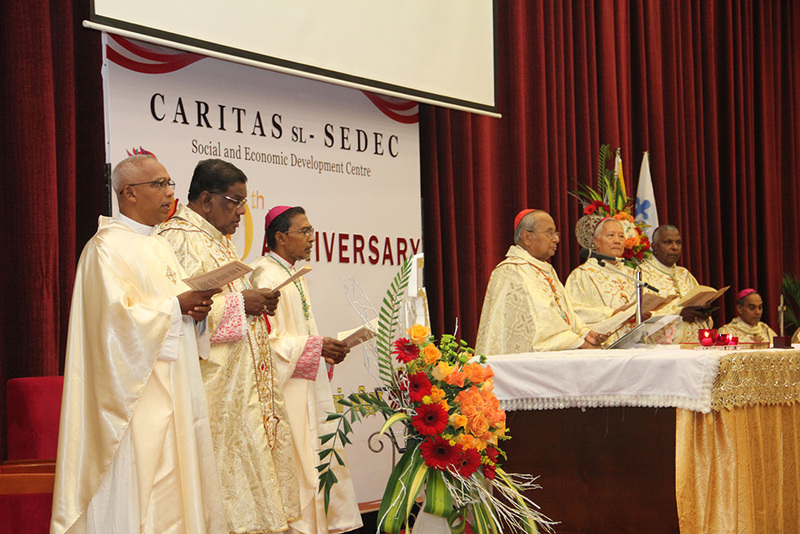 During almost 50 years of yeoman service to the nation, Caritas Sri Lanka – SEDEC has grown to become one of the largest and most respected humanitarian organizations in Sri Lanka. 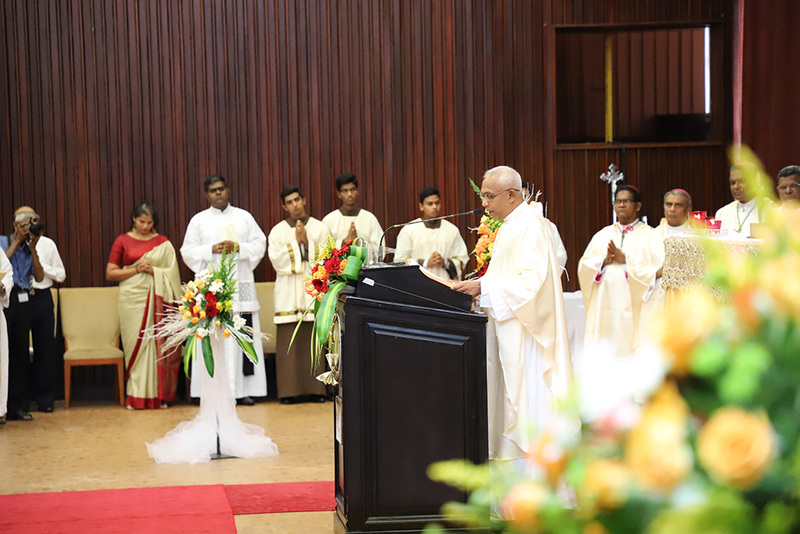 Its work centred around Integral Human Development has spread to thirteen (13) Caritas Diocesan Centres that implement many projects in the twelve (12) Catholic Dioceses. 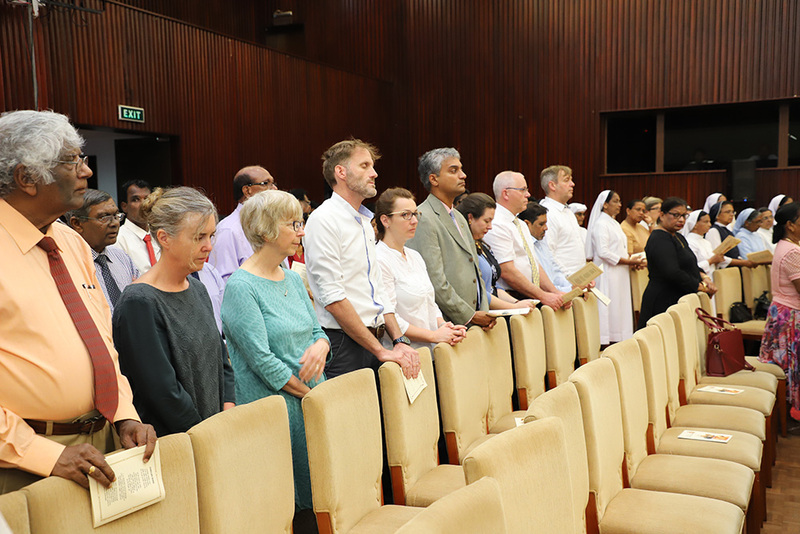 Caritas Sri Lanka – SEDEC has been in the forefront in humanitarian emergency responses during several major disasters in the country including the prolonged period of the internal conflict in the North/East and the December 2004 Tsunami disaster.